Teacher Appreciation Week will be here before you know it. 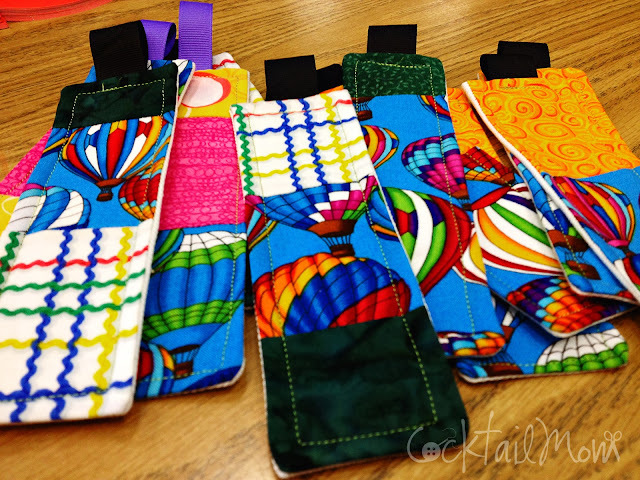 If you are a sewer and you need to whip out several gifts in a short amount of time, quilted bookmarks are your answer! Sew several strips of fabric together and then cut into 1.5 inch wide by 6 inches long bookmarks. If you choose a heavier fabric as the backing you won't have to worry about any interfacing. Sew the two fabrics together, right sides facing each other and leaving an open end to turn the fabric inside out. Stitch around the whole bookmark and add a loop of ribbon to the top to finish it off. This is a great project to use up any fabric that you have in your stash!